This entry was posted in Photo Gallery, Photography, Windows 7 and tagged import photos, photography, photos, set import options, Windows 7, Windows Live, Windows Live Photo Gallery by Ludwig. Bookmark the permalink. I have been working on this for 1 couple of hours, trying to import Photos with no luck, everytime I plug phone in 1 box pops up says now new pictures on Device, move out of the way there is other box shows LGX Power look for pictures with the green moving but finding nothing. Any help out there. If you are using an iPhone this will happen if iTunes is not running or not installed. Does this help? How does Windows remember which files have been imported from a device? My situation: I have a phone with 1600+ pix/vids on it. 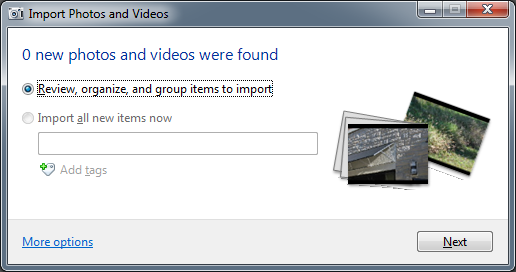 I was all caught up on imports (the Import window says no new files). Then I had to re-image the computer. 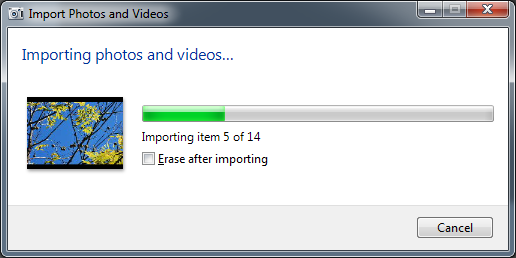 Now the Import wizard wants to import all of them again (but I don’t need to because I had them backed up). So let’s say I import them all again to get caught up once more. 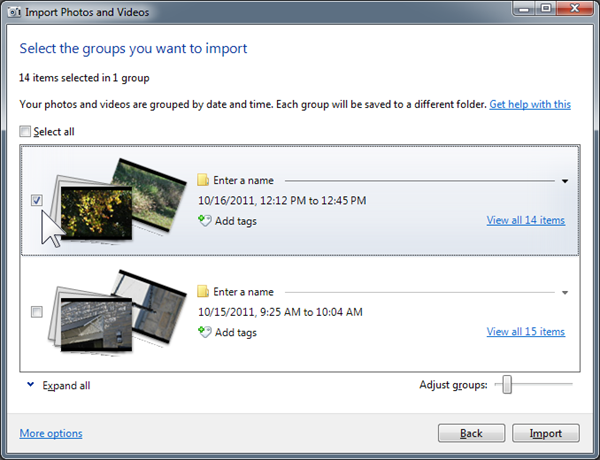 What file/data can I then back up from the computer that remembers which files have been imported, such that if I had to rebuild the image yet again I could restore this information and the system would think it is still caught up on imports? Thats it. Your PC will now re-import everything.